Industrial waste management is the main concern of sustainable environment, and the proper control and operation of wastewater treatment plants for efficient removal of pollutants are certainly important. 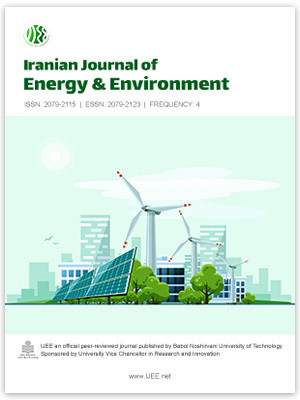 In this study, the L16 orthogonal array of the Taguchi method was applied to determine the optimum condition of some controlling parameters such as organic loading rate, hydraulic retention time, number of stages, rotational speed and recycling for treating whey effluent in a rotating biological contactor (RBC). In order to determine the impacts of levels and factors, the optimum condition of the experiment was predicted and determined. QUALITEK-4 has reported 76.25% COD removal based on a desired experimental condition (COD: 50000 mg L−1, HRT: 24 h, No. of stages: 3). To improve the performance of the RBC, second optimum condition (COD: 50000 mg L−1, HRT: 24 h, recycling: positive, rotational speed: 10 rpm, No. of stages: 3) was also investigated. According to the above-stated conditions, the highest COD removal was found to be 98%. Furthermore, two sets of test experiments were also conducted in lab scale under optimum conditions, and the prediction of other combinations of factors/levels was evaluated. Overall, the experimental results demonstrated that Taguchi method was able to predict COD removal with an average relative error of 6.5%.